Integration – Because of our in-depth knowledge and breadth of experience, we are able to integrate your existing system with complementary systems, using specific communication protocols, such as BACnet, Modbus, SNMP, JCI N2, and LonWorks. This allows us to quickly and efficiently develop a new system, or upgrade your existing system to include additional capabilities. 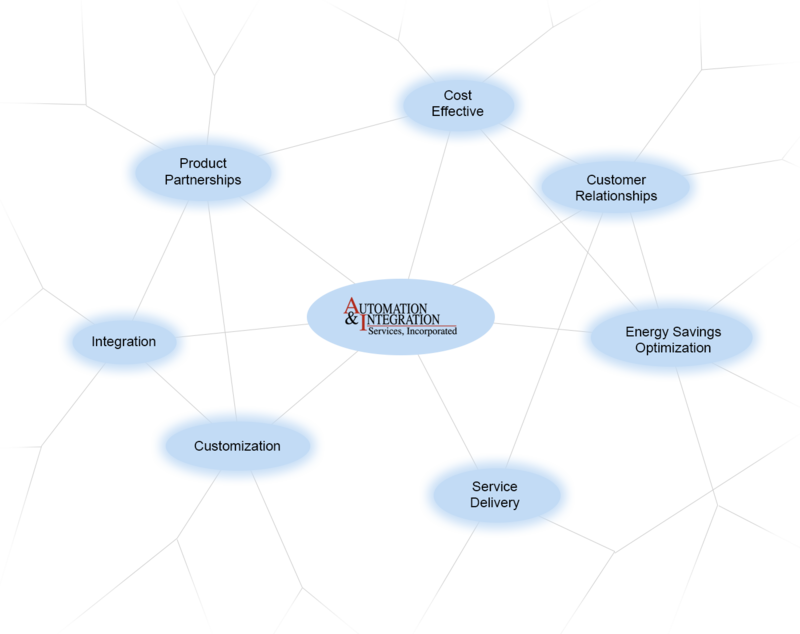 Product Partnerships – Over the years, we have established strong partnerships with manufacturing leaders in the building automation, energy management, critical facilities management, and data center infrastructure management industries. Because of these partnerships, we are not tied to any one product or manufacturer – which allows us to be extremely flexible in providing the best solutions for our clients. Customization – This is really the result of the first two benefits. Because of our ability to integrate and choose from among the best products and systems in the industry, we are able to build a solution that’s totally unique and perfectly suited to your needs.